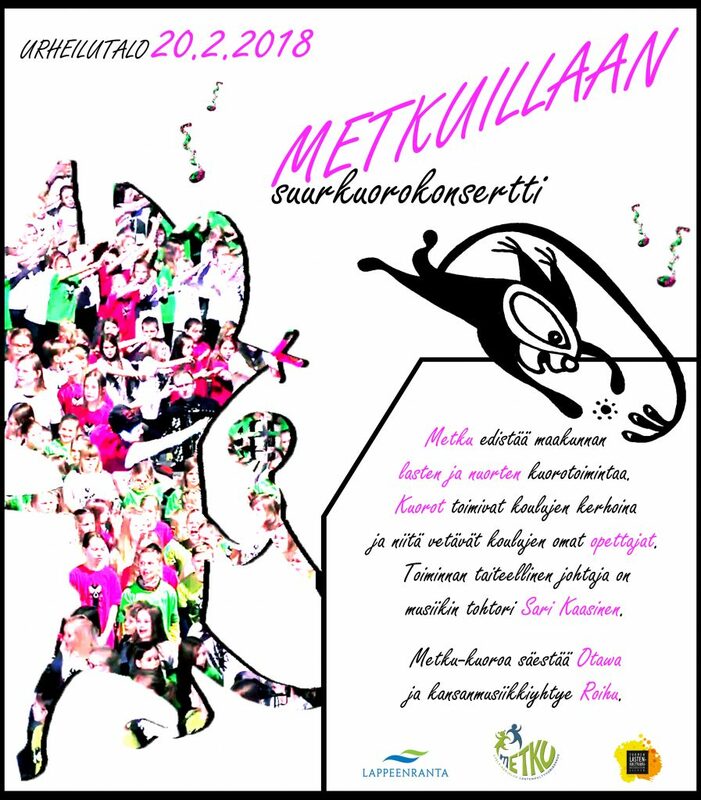 South Karelian Children’s Cultural Centre Metku promotes children’s and youth’s choir activities in Lappeenranta and Southern Karelia. Choral activities primary purpose is to encourage and to get children and young people to sing and to get associated with music, and to create together the joy of singing. The choir’s artistic director is a doctor of music Dr. Sari Kaasinen.